Seoul (Korea). Japan has picked up its second win at the XXV IBAF 18U Baseball World Championship. They dismantled Panama 8-0 thanks to a strong offensive performance and another great gem by their pitching staff. Panama lost for the first time after a pair of wins over Italy and Czech Republic on the first two days of the tournament. Japan scored from the start, never having any trouble to come through against Panamanian pitching. They scored in five of the first six innings en route to an easy victory. Leadoff man and catcher Tomoya Mori scored the first run of the contest and also had one of three Japanese triples. Kohei Sasagawa went 3-for-3 with a triple, three runs scored and a RBI. Ryoya Kaneko drove in two. 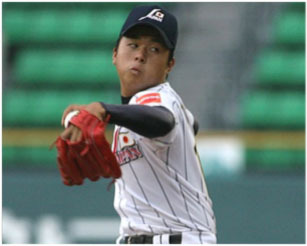 On the mound Ryuhei Johma allowed just three hits and a walk in seven scoreless innings. The right-hander relied solely on his defense, striking out just one of the 26 batters he faced. Takahito Otsuka closed out the three-hitter with a pair of perfect innings. Hector Salazar took the loss for Panama. He gave up five hits, three runs (2 ER) and three base on balls in 3 2/3 innings. Reliever Cristian Caballero conceded five more runs in the fifth and the sixth to give his team no opportunity to come back.